Below are links to several documents charting the progress of an initiative to make race more central to my college. We have a list of Goals, the outlines of a new Academic Minor, and some examples of Messaging. About a year ago, at a community forum during my college’s annual, week-long celebration of Martin Luther King, Jr.,* I was struck once again at how fervently we talked about race, but also how we talked about it mainly during just this week. We all knew it. We talked fervently about that, too. So, spontaneously, I stood and said I would get a group of people together to propose structural changes that would make race a more central, everyday, on-going presence in our institution’s life, so much so that one day soon every graduate would have looked closely at race, understood its pernicious effects, and caught some glimpse of what we could do about it. Returning to my office, I sent an email to faculty and staff asking for volunteers to join the project. Within 24 hours I had 41 Yes responses. The number has grown, most importantly with students who have joined and will ultimately be the difference-makers. During the ensuing year much has begun to happen. One of my goals has been to bring us up to the level of many corporations, at least in how they message their commitment to diversity, a commitment far ahead of most universities. They’ve known for decades how good diversity is for business. Wait. “Diversity”? What happened to “Race”? 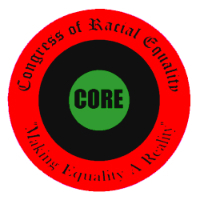 Originally, I came up with the name CORE—the Coalition on Race Education—for our group. It not only captured what most of the original “volunteers” wanted to focus on, but also echoed the famous Civil Rights group CORE: The Congress of Racial Equality. I had told the group from the beginning that our most difficult task would be to keep race central while not scaring people off. I have often said that Americans would rather talk about anything but race—anything—and have written about this many times. ** This aversion is one reason race remains such an intractable problem. I was especially moved to propose our CORE when, at the forum I mentioned above, Joshua Barnes, black, the 14-year-old son of Brandon Barnes, one of our current students, rose to say, “I was wondering why so many other groups in our society seem to get their rights, but black people don’t.” It’s partly because once any issue, any group, any cause enters the room where we were talking about race, race goes to the back burner immediately, if it even stays on the stove. That’s how eager we are not to talk about it, much less actually deal with it. So we will probably switch to CODE, though not everyone agrees. Most folks like “diversity.” It’s a lovey-dovey word, easy to embrace if you forget the hard parts. We’re hoping against hope that race doesn’t lose out once again, doesn’t get consigned to some margin which makes us more comfortable, but enables race—racism—to continue its insidious, tragic work in our world. * Watch this song/video rendering of one of MLK Jr.’s greatest sermons, the so-called “Riverside Sermon.” Follow links to other MLK Jr. material. ♦ See a summary of the Major Goals of CORE/CODE. ♦ See initial proposal for a Minor in Race and Ethnicity Studies. The name will most like be changed simply to “Ethnic Studies.” Again, “Race” scares us, but I have also said for over 20 years that the frontier of ethnic studies is White Studies, a place where “whites”—who really are never simply “white”—can recover a heritage that will, hopefully, allow them to understand race more deeply. ♦ See an example of messaging from corporate American, here BMO-Harris Bank, where Diversity is clearly up front as a core value. This is an image that regularly appears on all employee computers. Here’s what Henkel Corporation does, and of course you probably want to check out Apple. ♦ Watch the VIDEO “A Very Short Film About Diversity” produced by some college students and myself to show in all First Year Experience seminars at North Central College. 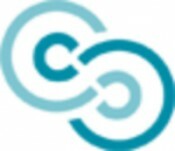 This entry was posted in Social Change and tagged BMO-Harris, CORE: Congress of Racial Equality, diversity initiatives, Martin Luther King Jr., North Central College, NPR CODE Switch: Frontiers of Race-Culture-Ethnicity. Bookmark the permalink. One Response to C.O.R.E. or C.O.D.E.? Race is an intractable problem; partly because we don’t talk about it. We are incapable of coming to grips with the historical, cultural, social, religious, sexist and homophobic impact of race. But diversity is more than CODE for race; it acknowledges the global impact of cultural differences. Some differences are racialized and we should always and everywhere acknowledge this because racialization is the process by which anti-black racism was perfected with Columbus’ first voyage. But diversity is not an excuse for avoiding race; it is an invitation to stand for justice provided that equity and inclusion are part of how we maintain diversity on our campuses.